"This natural bamboo cheese board features a concealed slide-out storage tray and a knife set that includes cutting and serving tools." "This Himalayan salt lamp is gorgeous and displays a beautiful and calming amber color when turned on." "Unlike most travel pillows, which just give you a little bit of neck support, this ergonomic one supports your neck and head as you lean to one side." "Features five unique crystals—clear quartz, amethyst, rose quartz, black tourmaline, and citrine...to promote a healing energy." "Not only can you use it to bundle up with on the couch, but it’s also made for outdoor use as a picnic blanket, for camping, and more." "Features Chess, Checkers, Backgammon, Cribbage, Dominos, Playing Cards, and Poker Dice." "Made of cast iron with a fully enameled interior, the teapot also comes with a stainless steel infuser for loose or bagged tea." "This stovetop popcorn popper makes perfect popcorn in just three minutes. The patented system makes sure every kernel pops." "Featuring 15 different scents...the French-milled vegetable soaps are enriched with shea butter, essentials oils, and natural extracts." "Four different mixing bowls...each with a matching colored lid. They are microwave, fridge, freezer, and dishwasher safe." "Features a filter made of coconut shell carbon and plant-based casing that removes chlorine and improves taste." "This covered crock helps keep up to six ounces (one and a half sticks) of butter soft and fresh without refrigeration." 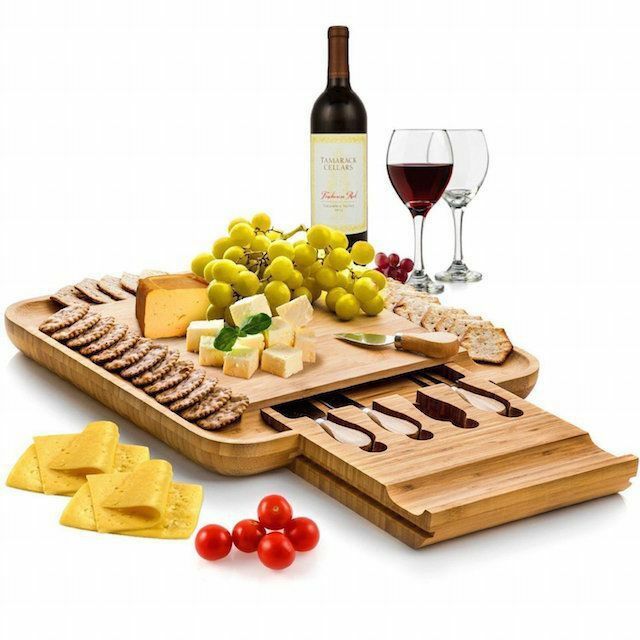 Such a classic and beautiful gift, this natural bamboo cheese board features a concealed slide-out storage tray and a knife set that includes cutting and serving tools all made with stainless steel blades and bamboo handles. It’s a great hostess gift or holiday present for the friend who loves to entertain. Have someone in your life who is in an airplane almost as often as they are on the ground? This travel pillow is a fun gift idea for them. Unlike most travel pillows, which just give you a little bit of neck support, this ergonomic one supports your neck and head as you lean to one side. It has a snap-loop fastener that allows it to attach to hand luggage easily, and it can be squeezed down to be more compact if you’re packing it. Best of all, the whole pillow can be tossed in the washer and dryer when it's time to wash away all those airplane germs. Stress is common these days, so it’s important for everyone to zen out every now and then. This desktop garden is a great way to do that. It features five unique crystals—clear quartz, amethyst, rose quartz, black tourmaline, and citrine—which have been intentionally selected to promote a healing energy, according to the description. This is a great gift for a boss or coworker. Everyone loves to cozy up with a blanket, and this one—made of 100 percent cotton—makes a great gift. Not only can you use it to bundle up with on the couch, but it’s also made for outdoor use as a picnic blanket, for camping, and more. It’s also machine-washable. Take a peek at some of the other best throw blankets you can buy. Shopping for a kid at heart? This deluxe 7-in-1 game set is a perfect gift idea. It features Chess, Checkers, Backgammon, Cribbage, Dominos, Playing Cards, and Poker Dice. The surface also lifts up so that you can store the game pieces inside. Have a tea aficionado on your list? This pretty pot would make a wonderful present for them. Made of cast iron with a fully enameled interior, the teapot also comes with a stainless steel infuser for loose or bagged tea. Note that this product is not for stovetop use—water should be boiled in another pot or kettle first. Give the gift that keeps on popping! This stovetop popcorn popper makes perfect popcorn in just three minutes. The patented system makes sure every kernel pops all while stirring the others to help prevent burning. The set also includes three kits featuring fresh popping corn, buttery salt, and gourmet popping oil, along with four disposable, novelty movie popcorn tubs. It's an ideal gift for families or for your friend who always hosts movie night. This soap sampler makes for a beautiful gift idea. Featuring 15 different scents—African Violet, Passion Flower, Fresh Milk and Shea, Black Currant, Island Ginger Mango, Ocean Pur, Seafresh Mineral, Lavender Chamomile, Cucumber, Pineapple Cocoa, Almond, Rosewater Jasmine, Lemon Verbena, Organic Oatmeal and Juicy Peach—the French-milled vegetable soaps are enriched with shea butter, essentials oils, and natural extracts. And because the labels are so pretty, you could even break up the set and use individual soaps as stocking stuffers. 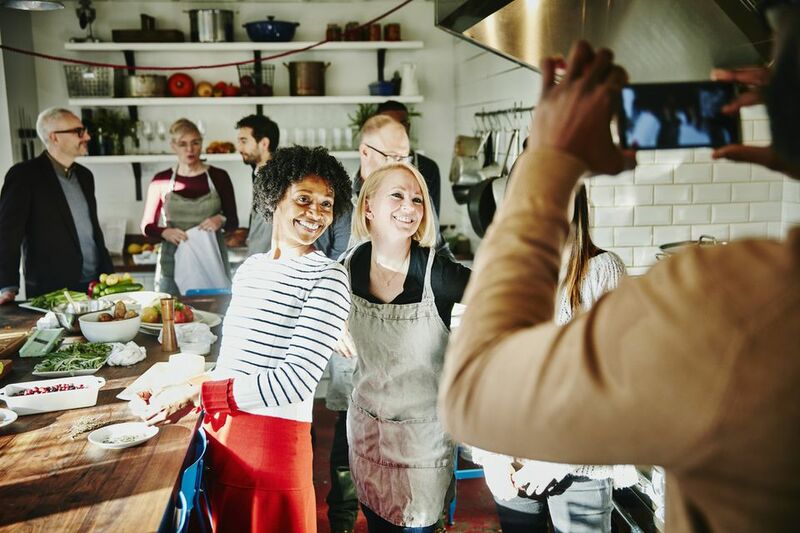 Have a home chef on your list? This set of glass mixing bowls is something they’ll use often. It features four different mixing bowls sized at 1-quart, 1-1/2 quart, 2-1/2 quarts, and 4-quarts, each with a matching colored lid. They are microwave, fridge, freezer, and dishwasher safe. This elegant shatter-resistant BPA-free glass carafe can hold up to six glasses of water. It features a filter made of coconut shell carbon and plant-based casing that removes chlorine and improves taste. It makes a wonderful hostess gift for the family you’re staying with for the holidays. A beautiful piece for the kitchen of your favorite home cook, this covered crock helps keep up to six ounces (one and a half sticks) of butter soft and fresh without refrigeration. Toast will never be the same again.